Whatch Out withThe Father of Lies. Since the first day I heard about Father Ahnsahnghong, Second Coming Christ; and Mother New Jerusalem, my heart was full of happiness, I was also nervous since I had no idea God the Father had come back and God the Mother was still on earth. It’s a feeling hard to explain but is beautiful. The bad thing was that people started telling me stories about them. They had nothing to do with the bible but only about their physical aspects. I wondered why do people care so much in telling me and even making researches about my Heavenly Parents. I said to myself “if they don’t believe in Father Ahnsahnghong and Mother Jerusalem, then why do they care so much? Don’t they have better things to do than making up some kind of stories? It seems that there is a lot to think about those people. Through one of the studies in the Church of God we touched the point of who is the father of lies and it ended up being, of course, satan. Satan will always lie. Whoever lies about true God are Satan’s children. And what’s even more interesting is that that kind of people never speak badly against any of the teachings. They cannot deny the Sabbath or the Passover, or even about the existence of Mother because the truth cannot be opposed. That kind of people lies about the Physical aspects of Christ: Father Ahnsahnghong and Mother Jerusalem. So only for a short period of time Christ has to be lower than angel, even man. But he did it for our sins. The same thing is happening now. For a very short period of time Mother Jerusalem and Father Ahnsahnghong had to become lower, sacrificing themselves and giving us the truth of eternal life. Being in a human’s Body is common sense that they also suffer human’s pain like any of us, but that doesn’t mean They are not God Almighty. Even Jesus felt tired, thirsty, angry, etc. how come people don’t say anything about it, yet to our Heavenly Father Ahnsahnghong and Mother Jerusalem they ridicule, and they underestimate. We have to be careful because even the blasphemy against the son can be forgiven, but the blasphemy against the Holy Spirit cannot. Matthew 12: 31And so I tell you, every sin and blasphemy will be forgiven men, but the blasphemy against the Spirit will not be forgiven. That’s why is so important to have spiritual eyes and eras opened instead of being deceived by the deceitfulness of the world. The other day I heard a guy talking about the existence of Mother. He argued the fact that “what if he died tomorrow and he never got the chance to come to Mother God”. Revelation 22:17The Spirit and the bride say, "Come!" And let him who hears say, "Come!" Whoever is thirsty, let him come; and whoever wishes, let him take the free gift of the water of life. The Bride, The New Jerusalem is calling us together with our Holy Father. But where do we go? That’s another question the young man asked but unfortunately didn’t have the time to hear. The answer is found in the bible. Will see means that will happen in the future, and that we’ll be able to actually see Her. Zion is the place where God’s feasts are kept. There our eyes will see Jerusalem, our Mother. The church of God World Mission Society is the only one that keeps God’s feasts. This is the reason why we know this is the truth established by 2nd Coming Christ Ahnsahnghong, who as He promised, came back to bring salvation to us before the last and dreadful day of judgment. Keep post and if you have any question, please feel free to post it. How can we belong to God? What is it that we have to hear in order to belong to God? Let’s find out through the book of Romans. What God says is what we must do. So we definitely need the Spirit of Christ in us in order to belong to God, BUT HOW CAN WE HAVE THE SPIRIT OF CHRIST IN US??? I took the liberty of making a survey about this with my classmates and most of them had different answers but none of them got their answers from the bible. God always gives us the answer through the bible. Let’s see! Matthew 26:17 on the first day of the Feast of Unleavened Bread, the disciples came to Jesus and asked, "Where do you want us to make preparations for you to eat the Passover?" 18 He replied, "Go into the city to a certain man and tell him, 'The Teacher says: My appointed time is near. 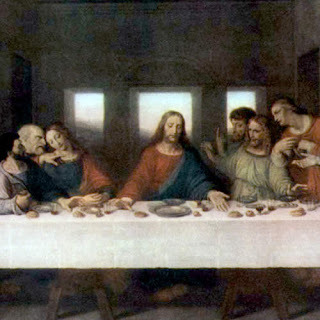 I am going to celebrate the Passover with my disciples at your house.'…. 26While they were eating, Jesus took bread, gave thanks and broke it, and gave it to his disciples, saying, "Take and eat; this is my body." 27Then he took the cup, gave thanks and offered it to them, saying, "Drink from it, all of you. 28This is my blood of the[b] covenant, which is poured out for many for the forgiveness of sins. God specified APPOINTED FEASTS. So we cannot change is by our own convenience. The only way Jesus himself promised his flesh and blood is in the Passover night so as God’s children we must as God says. Otherwise…. Thanks so much for reading this “little” post and please take it into consideration.